Furkids, headquartered in Atlanta, GA, is a 501(c)(3) nonprofit charitable organization that operates the largest cage-free, no-kill shelter in the Southeast for rescued cats and Sadie’s Place, a no-kill shelter for dogs. 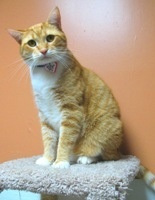 Furkids also operates one of the only facilities in the Southeast dedicated to the care of FIV positive cats. The Furkids mission is to rescue homeless animals, provide them with the best medical care and nurturing environment while working to find them a forever home. Furkids heals the whole animal, physically and emotionally, restoring its health and its spirit. 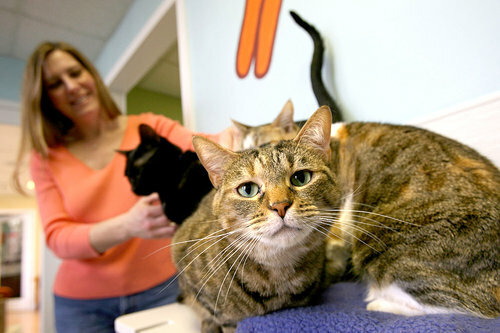 Furkids has rescued and altered more than 30,000 animals since its founding in 2002. Approximately 1,000 animals are in the Furkids program today, in the Furkids shelters, 13 PetSmart and Petco adoption centers, and more than 400 foster homes in the Atlanta area. Founder Samantha Shelton finds a stray mother cat with kittens. Unable to find a shelter that will take them in, she establishes Furkids. We begin as a network of foster homes conducting adoptions through the Petsmart Perimeter location. We rescue 216 animals in our first year. In our second year, we are invited to manage the PetSmart Smyrna location. Furkids signs the lease on our current main shelter and begins the buildout on the 5,000 square foot facility that will eventually house up to 275 cats on a daily basis. The shelter allows us to increase the number of cats and kittens we can rescue and provides a colorful, cage-free, one-of-a-kind environment for our cats. We celebrate the grand opening of our shelter and additional adoption centers are established with PetSmart Midtown and PetSmart Northlake, bringing our collaboration with PetSmart to four stores. In 2007, Furkids celebrates five years, and Ms. Shelton, Founder and Executive Director, receives a commendation letter from Governor Sonny Perdue congratulating Furkids on our success and important service to the community. We celebrate our 5,000th adoption! 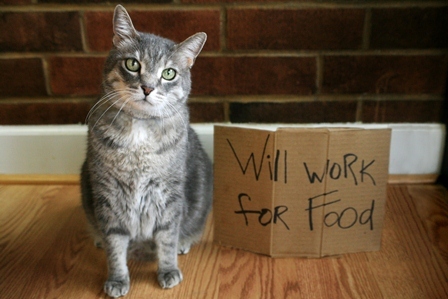 We build an in-house spay/neuter surgical suite and hire a part-time veterinarian. We partner with our 5th PetSmart store at the Mall of Georgia, and we open our FIV House, a stand-alone facility to exclusively house our FIV+ cats. We establish a benchmark of caring for 450 cats, as well as many dogs, on a daily basis. We begin a new partnership with PETCO, managing their in-store adoption programs at their Holcomb Bridge and Edgewood locations. We establish Cat’s Meow Marketplace, now known as the Furkids Thrift Store, a store we own and operate to generate funds to care for the hundreds of animals in our care. We place approximately 620 cats into loving homes and celebrate our 6,000th adoption! We earn our 6th consecutive Best in America Seal of Excellence award, solidifying our rank as a top local community charity by Independent Charities of America. In its November 2010 “Pets!” issue, Atlanta Magazine names us among the leading animal shelters in Georgia. We acquire and assume total responsibility for the management and operation of Small Dog Rescue and Humane Society, founded in 1995 and dedicated to finding loving families for homeless dogs in Georgia. The union of the organizations greatly extends the reach of Furkids, expanding operations to include the rescue, no-kill care, and adoption of both homeless cats and dogs. Furkids celebrates our 10th anniversary! We add a tenth adoption center at the Buckhead Petsmart and we close the year adding two Petco adoption centers in Smyrna and Buckhead – for a total of 12 full-time adoption centers throughout Georgia! Furkids saved close to 1600 animals! Our largest number in a single year! We secured a major matching gift from the Choate family and Choate Construction Company to renovate our 34 year old building that is our dog shelter! We increased the days our cat and dog shelters were opened to the public. We saved 2,400 animals and achieved 2,200 adoptions. We signed the lease on a second thrift store. We doubled the size of our cat shelter to accommodate our FIV+ cats, a quadrupled surgery suite, work space for staff, a kitten pod room and a special room for Purrkids program cats. We launched a new logo and a new website, opened two additional thrift stores, and secured a gift to create a customized software program for animal management, We raised the funding to purchase additional surgery equipment for our expanded surgery suite, increasing our capacity to serve more animals. We contracted with a veterinarian to perform high-volume, high-quality spay/neuter surgeries at our shelter. We were also honored during Petco Foundation's 50th Anniversary National Adoption Weekend in October as having the highest number of adoptions in the country that single weekend. Furkids had the best adoption numbers it has ever seen in 2016. During Petco Foundation's 2-day National Adoption Weekend in July, we found homes for 114 animals, helping with our July grand total of 344 animals. These figures made July 2016 Furkids' BEST MONTH EVER, until November 2016. We finished out the year with nearly 3200 total adoptions. On Georgia Gives Day, Furkids raised over $100,000 for animals in need. We raised enough money to purchase dental x-ray equipment for our surgery room, and we were chosen as one of a handful of shelters to partner with the Jackson Galaxy Foundation in their Cat Pawsitive program. Celebrated our 15th anniversary with Jackson Galaxy as our special celebrity guest. Responded to Hurricane Irma by rescuing 120 cats and dogs from coastal towns in Georgia. Began a new program for out of state transport with a no-kill shelter in Minnesota and began the first of many transports to relocate and save the lives of thousands of cats in Georgia county shelters. We focused on expanding our Georgia Interstate TransFUR Coalition to transport to more northern states. Launched a capital campaign for a more natural shelter and sanctuary, and to create a preferred community destination to benefit and educate more humans, raise more awareness, and ultimately, save more Furkids. Our long range vision is to create a peaceful, unique destination, carved out of nature, where visitors can walk dogs along a nature trail, play with cats in their indoor/outdoor home, enjoy tranquility in a memorial garden, and all of our animals can experience sunlight and fresh air. Our stand-alone shelter would also include a low-cost, high-quality spay/neuter clinic open to the public.